What It’s About: A palooka from Philly gets a the chance to fight the champ, while dealing with his own very human struggles. Why Watch it Today? 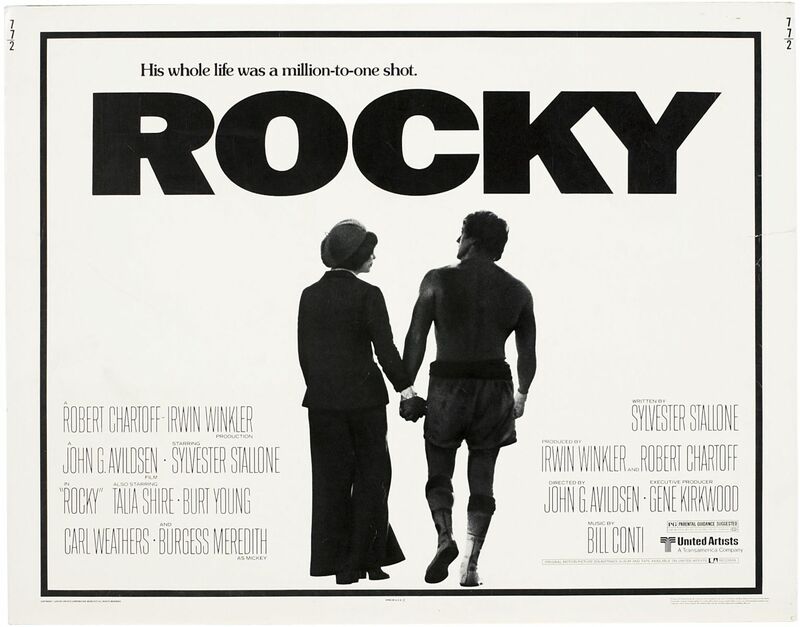 : Burgess Meredith, who nabbed an Oscar nomination as Rocky’s trainer Mickey, died 17 years ago today. Other Choices: Burgess Meredith was a great character actor with a fantastic range. You can see him as the sad, but lovable old vaudevillian forced into door-to-door salesmanship in The Day of the Locust; battle an evil Native American shaman emerging from a woman’s neck in The Manitou; mentor a mythic hero in Clash of the Titans; play evil mastermind and bird aficionado The Penguin in Batman; a rich man obsessed with finding the acupuncture model that displays the correct combination to achieve ultimate sexual power in The Golden Needles; or play an alcoholic Korean War vet who is somehow the last jet pilot (or maybe the last person able to fly the last Sabre jet) tasked with hunting down renegade public transportation spokesman and former race car driver Lee Majors in The Last Chase. This entry was posted in Drama, Fight Film, Movie of the Day and tagged Best Actor Nominee, Best Director, Best Film Editing, Best Original Screenplay Nominee, Best Original Song Nominee, Best Picture, Best Sound Nominee, Best Supporting Actor Nominee, Best Supporting Actress Nominee, Bill Conti, Burgess Meredith, Burt Young, Carl Weathers, John G. Avildsen, Sylvester Stallone, Talia Shire.